The folks at Rennlist tipped me off to the clue I was missing. To get at the 6 bolts that hold the torque converter to the flywheel, you have to remove the starter motor. The cavity that holds the starter motor allows you to access the bolts. What a pain. I was able to get them separated and also removed the flywheel. Here are some photos showing how the pieces align. I'm still working on measurements to send to the machinist. Notice the flywheel is a toothed gear that can be spun by the starter motor. There is a second set of teeth that pass by a sensor that is likely for engine RPM measurement. I'm going to see if I can reuse that sensor and flywheel teeth for EV motor RPM measurement. Photo above is the flywheel attached to engine shaft as shown still mounted to the engine. Above is the freshly removed torque converter mounted back onto the transmission. 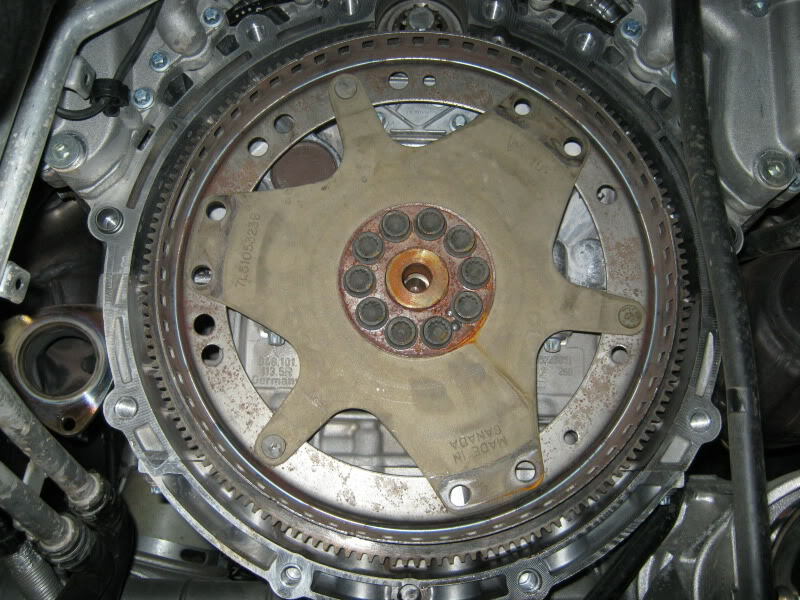 Side view showing the transmission and torque converter depth without the extra coupling between the engine and transmission. This is the same view, just adding the coupler back onto the transmission bell housing. This is the side view with the flywheel removed from the engine and mounted back onto the torque converter while mounted on the transmission. This is the front view of the completed assembly.